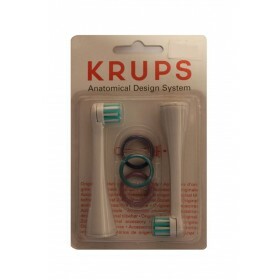 Description: Krups 2 spare tooth brushes fits BioCare Family (Art.569.A),BioCare Program(Art.570),Bi.. Description: Krups Aqua Filter System (water filter) ,model F 088, fit in most Krups coffee makers w.. Description: Krups Press Button Left, p/n: MS-0675088 for 72**., 80** models coffee maker..